The Institute for Effective Education (TIEE), Mt. 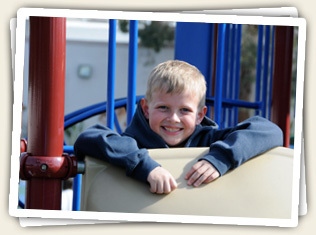 Helix Academy’s parent organization, provides a limited amount of financial aid to families of Mt. Helix Academy students. The total amount of financial aid available is established annually by TIEE’s Board of Directors and is based, among other considerations, on the amount of the organization’s reserve. Financial aid to support tuition and fees for attending Mt. Helix Academy is based on the family’s financial need as established by completing the Financial Aid Request Form (on-line or pdf) and submitting it along with the most recent Federal Income Tax form for all persons who contribute to the household in which the student lives. Completed applications for financial aid are due at TIEE’s Business Office no later than May 1 prior to the enrollment year. Typically, responses from TIEE’s administration to families who have made financial aid requests are made by mid-June. Please be advised that requests for financial aid will not be evaluated unless and until the application is complete, including both the Financial Aid Request Form and the Federal Income Tax form.